"For the animal shall not be measured by man. In a world older and more complete than ours, they move finished and complete, gifted with extensions of the senses we have lost or never attained, living by voices we shall never hear. They are not brethren, they are not underlings; they are other nations, caught with ourselves in the net of life and time"
There are not many places on Earth left which would offer such intense close up encounters with one of the largest, most intelligent and least understood animals on the planet hunted to the brink of extinction by human greed. And certainly many less that would enable those profound connections to happen peacefully and respectfully in their own natural environment: in pristine waters of uninhabited Pacific islands away from mass tourism, away from any western rhythms and any exploitation of the animal. 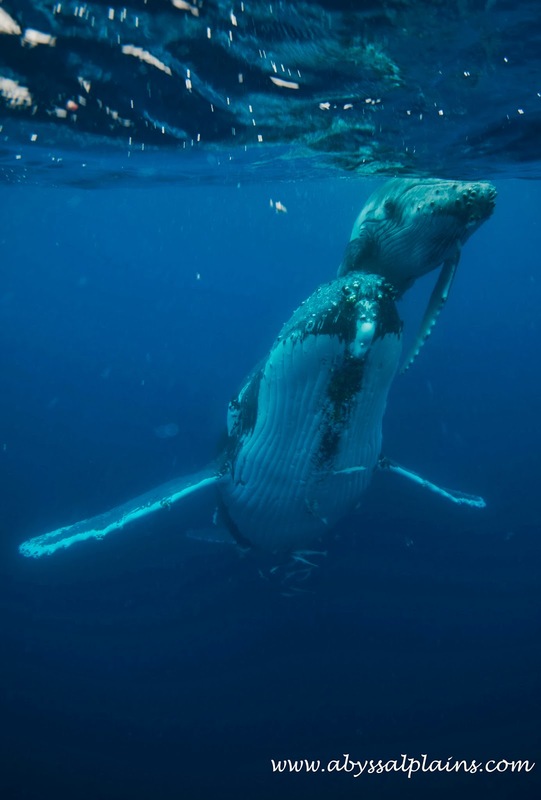 Every year Humpback whales migrate 5000 miles from Antarctica to warm and sheltered waters of Kingdom of Tonga in South Pacific, the longest migration taken by any mammal. 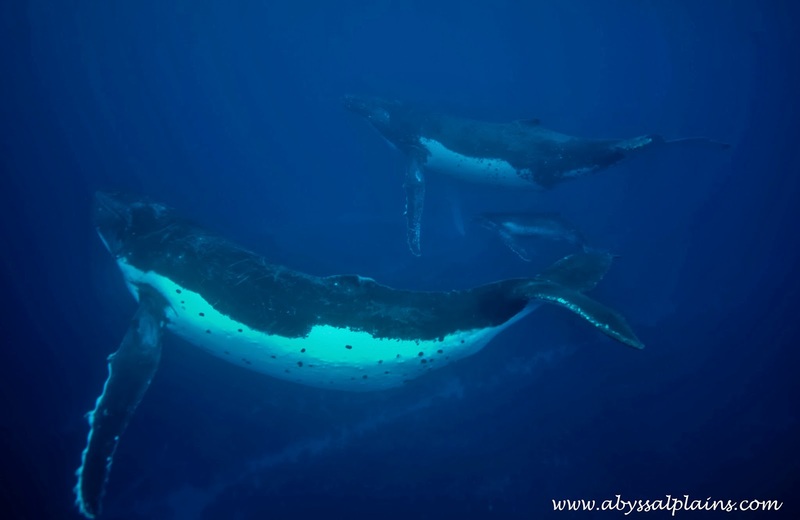 They leave their Antarctic feeding grounds and come all the way here to mate and give birth, to raise their calves and teach the juvenile humpbacks some of the most complex behavior and social interactions observed in the animal kingdom. 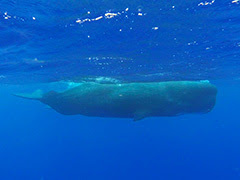 Tonga is also one of the two countries in two countries in the world which legally allows swimming with whales by joining one of the scientific, photography or freediving expeditions lasting from a few days up to a few weeks, or during day trips with a small group of people led by an official guide and a licensed operator. 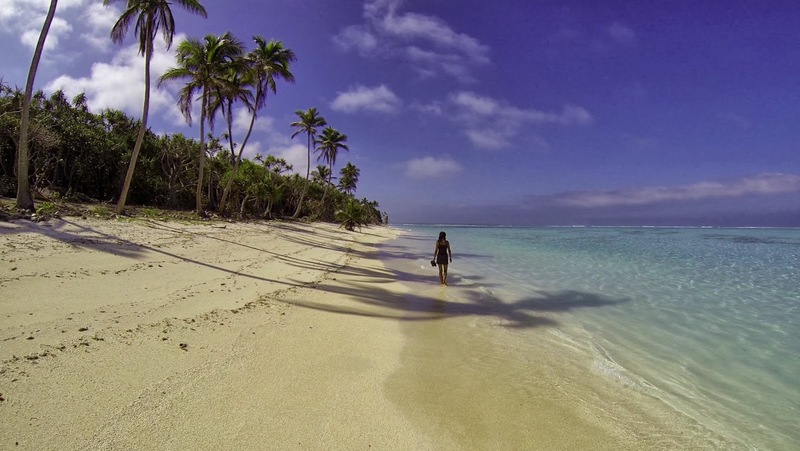 In August 2013 we spent 4 weeks in Ha'apai, Tonga, by camping on an uninhabited Island Uoleva at Tiana's Guest House, staying at Fins and Flukes and Matafonua Lodge and taking their day trips out, as well as joining a phenomenal 10-day freediving trip with Erez and Ally from Apnea Australia and Whale Discoveries as our operator. Altogether we experienced about 20 days out on the sea following the humpbacks and witnessing their breathtaking underwater behavior including a surreal dance of four adult whales, emotional interactions between mothers and their newborn calves, meditative singing of old singers travelling alone, as well as their incredible activity above the water such as breaching, slapping the water with its fins and pectorals, communication between different groups of whales and their travelling patterns. 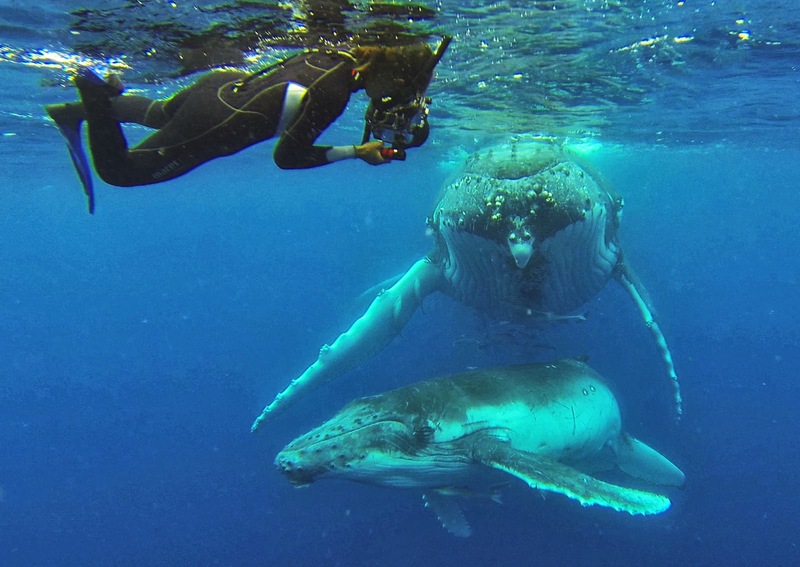 Tonga has also showed us that even such intense interactions with some of the largest animals o the planet can be done in the most respectful way towards the animal when you're the guest and the whales and the ocean are your guides and teachers. You're the guest and they're your guides and teachers. And if you're patient enough, very often they are willing to reveal as much of their world as you allow them. They can watch you and follow you for hours, be the most curious and interactive as they mirror your moves and emotions, or they can just leave when they feel you simply don't belong to their world. 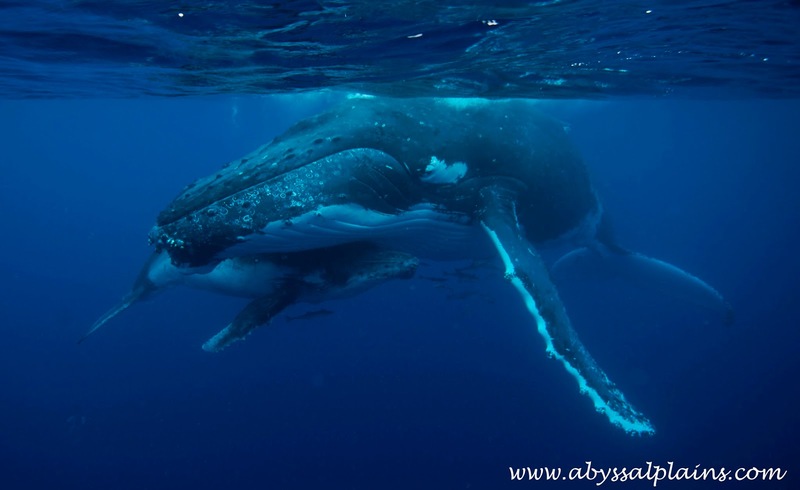 In this post we would love to share our collection of the most emotional moments shared with these amazing whale beings. They took us on a journey million years back to our collective memory where everything important existed in its purest form. 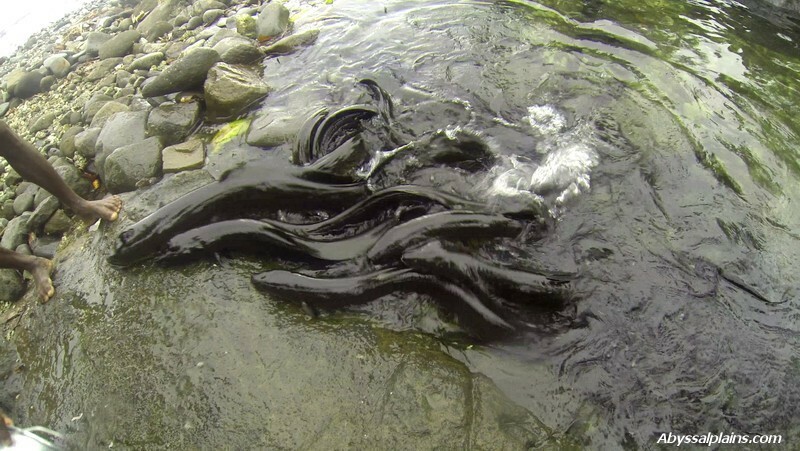 They showed us love in its simplest and the most complex expression, healing energy which goes beyond any human comprehension, and tied us forever to the ocean. 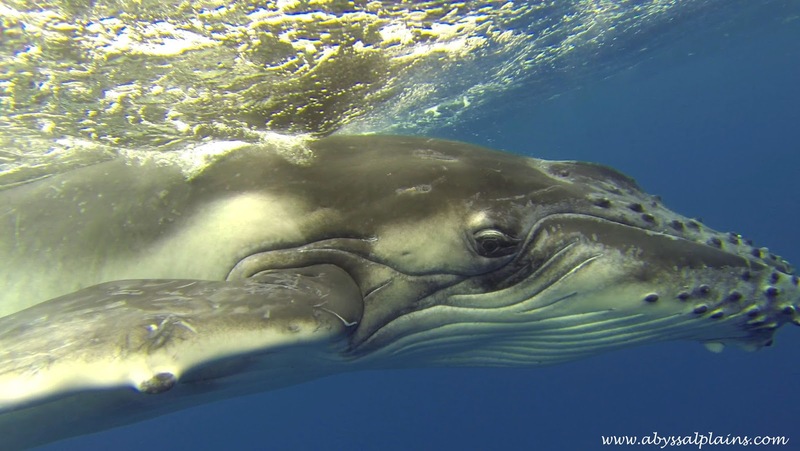 Whale Fairy Tale (Tonga 2013) from Miro Kubicek on Vimeo. The Kingdom of Tonga is a Polynesian archipelago comprising 176 islands scattered across the southern Pacific Ocean, of which only 52 islands are inhabited. Tonga is also one of the few countries in the world that have resisted European colonization and are still relatively untouched by tourism. 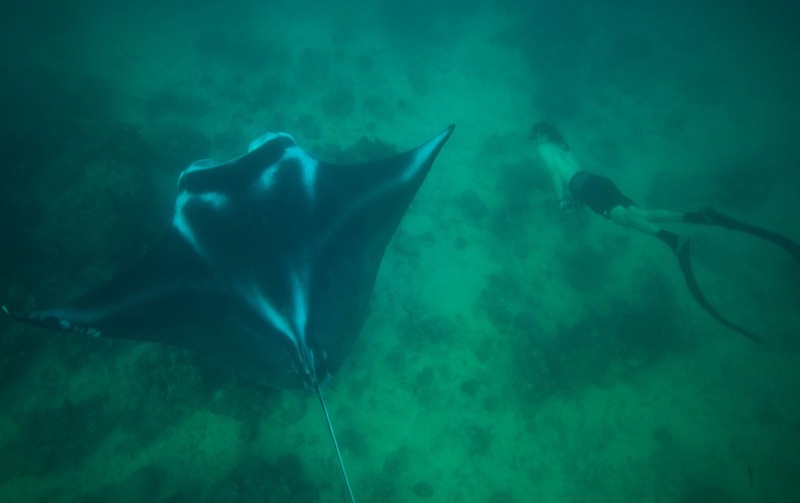 It offers an insight into the authentic Polynesian culture, mild climate, warm waters with some of the best visibility in the world, pristine coral reefs, world class cave diving and migrating humpbacks each year from June to October, with whom, if they agree, you can swim and experience what well may be the most transformative adventure you'll ever do in your life. 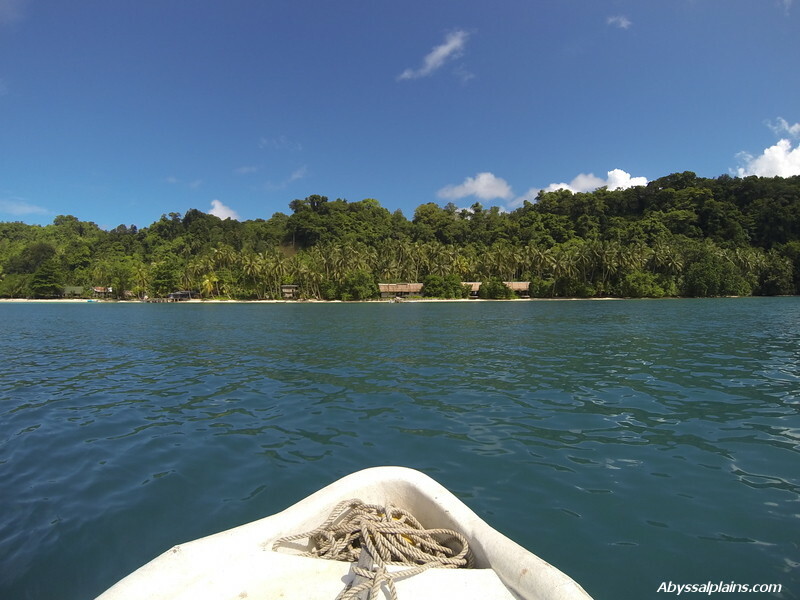 Having experienced much more busier Va'vau 2 years ago (although still considerably less busy than any other country in Southeast Asia and most of the Pacific), this time we decided to head off to much quieter, more pristine and less touristy Ha'apai group of Islands. 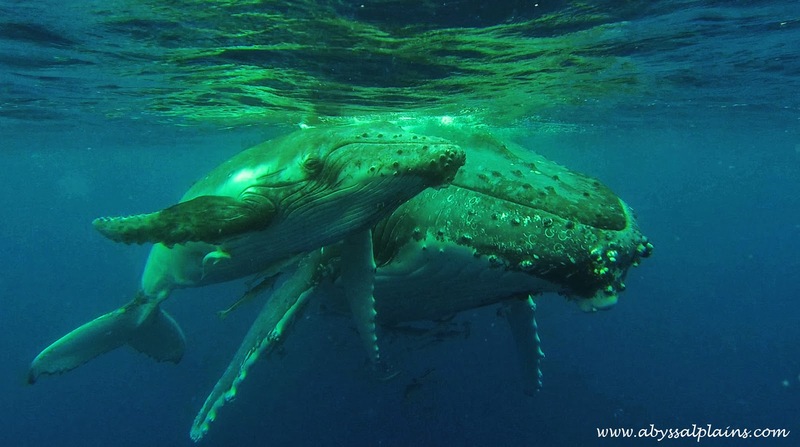 With no tourism infrastructure whatsoever, only 4 official whale-watching operators with an option to completely submerge ourselves into the simplicity of uninhabited and breathtaking Uoleva island, you won't find a better place to experience those profound encounters that humpback whales offer. 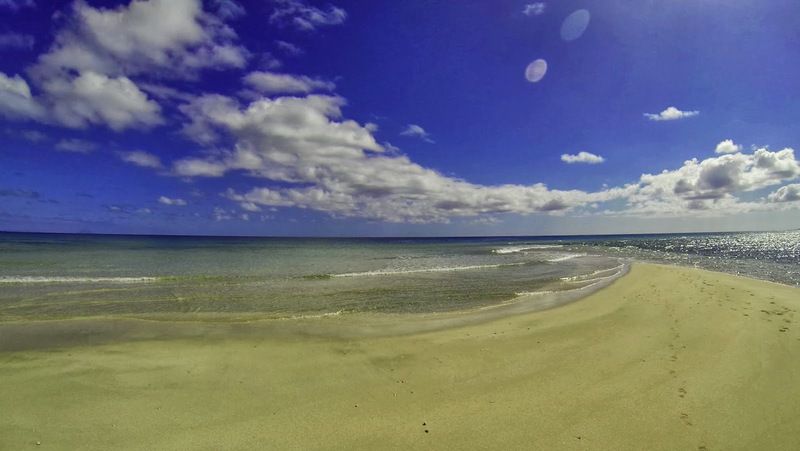 There’s nothing easier than to get off the beaten path on Uoleva Island in Ha'apai: there’s no beaten path. Situated just south of Lifuka Island, Ha'apai (with an adventurous possibility to walk across during low tide) Uoleva's got to be one of the most beautiful tropical islands we've ever seen. The water can't be clearer, the sand whiter and the coconut water sweeter. There is also no running water or electricity. Staying on this uninhabited island in the middle of South Pacific offers the ultimate wilderness escape. Rough, barefoot and earthy experience limited only by how much simplicity can one endure. Tiana's (Diana's) Beach Resort: very basic stay with the Tongan family in 6 traditional fales furnished with mattresses and mosquito nets and situated right on the edge of a stunning beach, amazing snorkeling, the clearest water and easy access to the ocean even during low tide. There is a table, chairs and a hammock outside of each fale and the shared facilities include a shower, two toilets and a common kitchen area. There are solar lights in shared facilities as well as in each fale, however charging of the electronic devices is not possible. You can arrange a very basic breakfast or dinner with the family, or you can bring the food from the main island and prepare them yourself.There is nothing accept drinking rain water and plenty of coconuts available at Tiana's, however the magic of the place will make up for that: morning runs or yoga on the beach, walk around the island, swimming in crystal clear water or watching the sun to set behind the volcano every night. 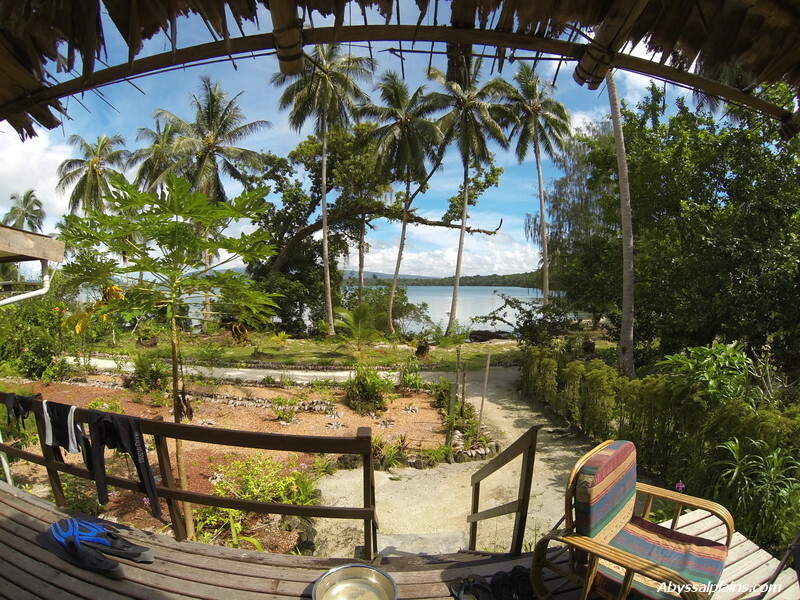 The stay is very affordable with TOP$45 per fale per night and TOP$15 per person per dinner. You can arrange the transport from and to the airport as well as return transfer to the main island with the family, however they only operate a small and very slow boat and it can be pricey: TOP$30 airport - Uoleva one way per person or TOP$40 main island - Uoleva return per person. Contact Finau for bookings on (676) 60612 or email her at dianaresort10@gmail.com. Serenity Beaches as part of our 10-day Freediving expedition with Apnea Australia, however we couldn't find more perfect place to enjoy yoga sessions in the morning or come back each afternoon after a long day out on the sea. Serenity Beaches is a true hideaway on the beautiful island of Uoleva consisting of 5 simple bungalows spread out in the jungle along the beach on both sides on the island providing ultimate privacy. Serenity not only offers a unique workplace for various groups and retreats, but also. 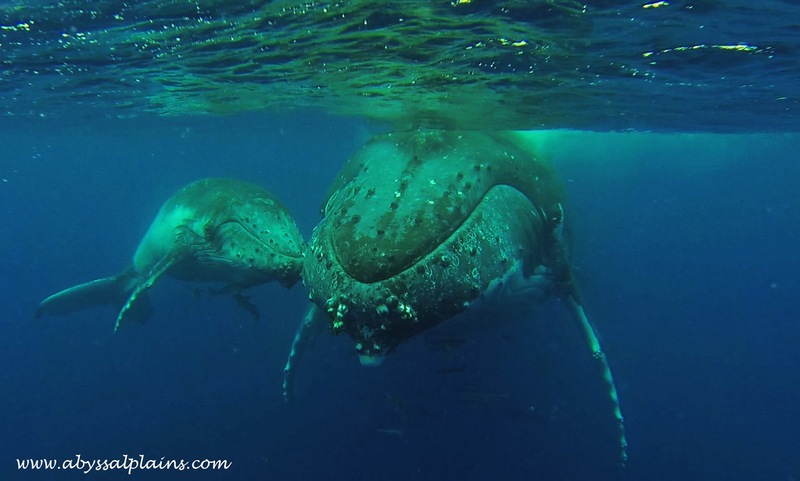 Activities are limitless including the swimming with the whales organized through Dave and Tris from Whale Discoveries. Captain Cook's Hideaway: Basic accommodation in wooden houses (rather than in traditonal fales) right on the beach and just behind the corner from Tiana's. Tongan breakfast and dinner are available or you can cook for yourself. You can call +(676)60014 or +(676)8712979 to check the prices, make the booking or arrange the transport. Another place where we would recommend to stay during your stay in Ha'apai is a beautiful island Foa located northeast of the Lifuka Island. Book your stay in Matafonua Lodge located on the quiet northern peninsula of Foa Island and surrounded by some of the best beaches and snorkeling in Tonga. NIna and Darren are one of the most interesting and welcoming people we've met during our journeys and the whale watching, diving and snorkeling trips with their crew were unparalleled to anything we've experienced so far. 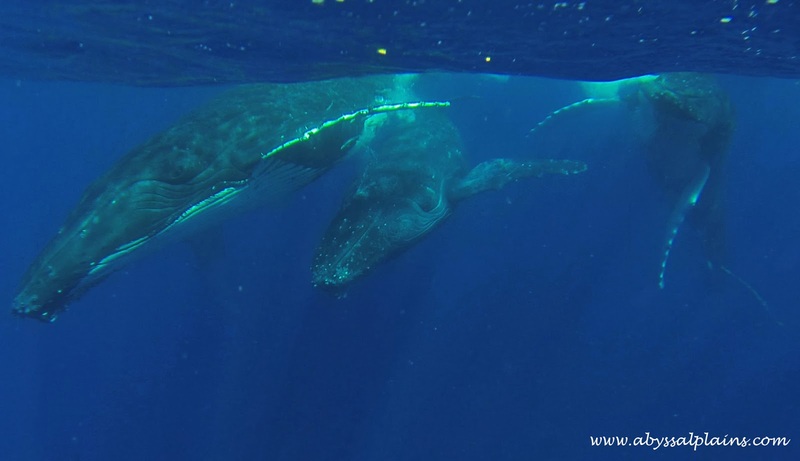 Their knowledge and passion for the underwater world, the whales and the ocean is simply something you have to be part of to understand what brought them here and made them create a pristine place like Matafonua Lodge. 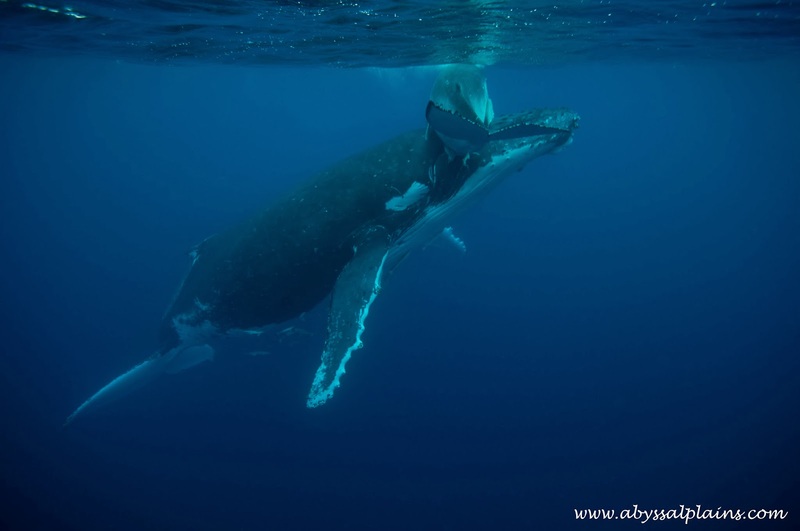 Their approach to whale watching trips is based on their extensive knowledge and experience with these gentle, as well as on giving them absolute respect and care and allowing for their well being to be a number one priority. 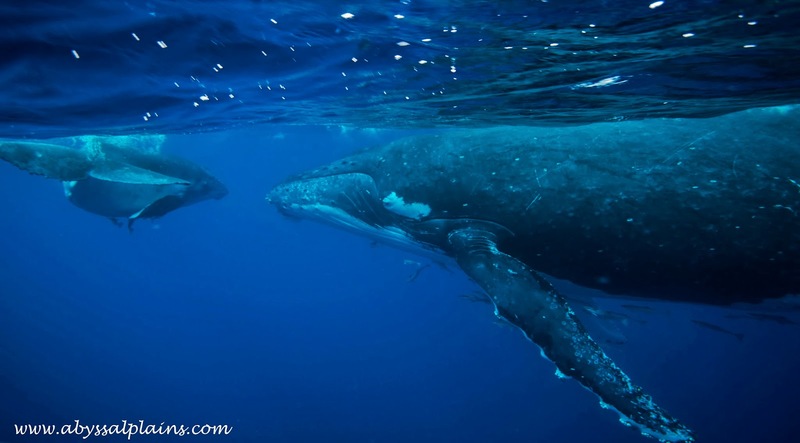 Although their powerful 2-engine fast boats enable to approach any whale on the horizon within a few minutes, the most memorable encounters lasting up to a few hours happened just off the coast of Foa Island. 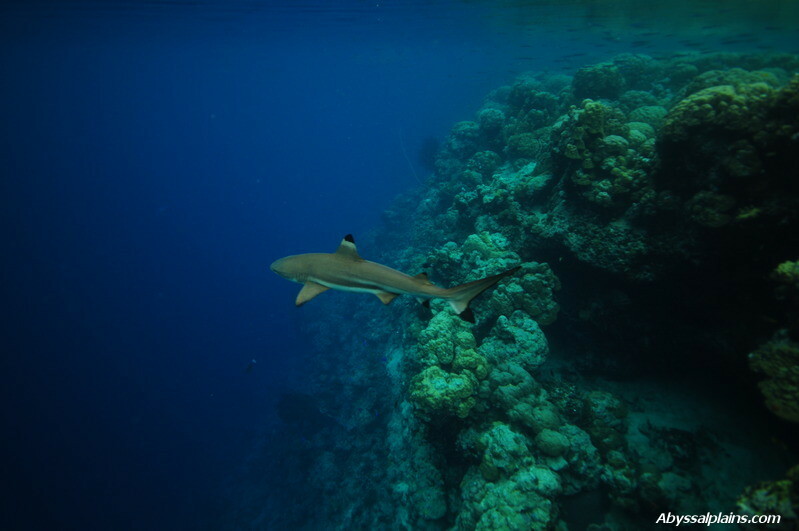 Matafonua Lodge can also take you to some of the Pacific's most unspoiled and rarely visited dive sites. 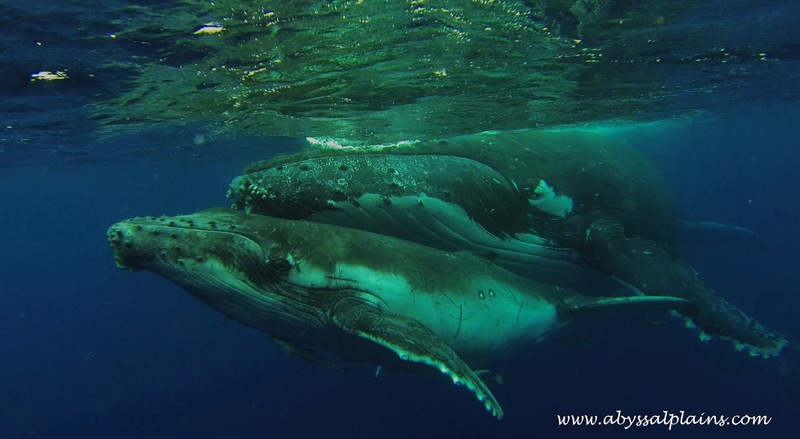 The healthy reef systems, the visibility reaching about 30 meters and the constant singing of the ever present humpback whales from July to October - diving with Matafonua Lodge has it all and much more. It's not easy to describe life-transforming experiences like the 10-day Freediving trip with Apnea Australia we took in August 2013. They offer all inclusive trips of various lengths in true eco lodges on the uninhabited island of Uoleva surrounded by local people and wonderful healthy island food. 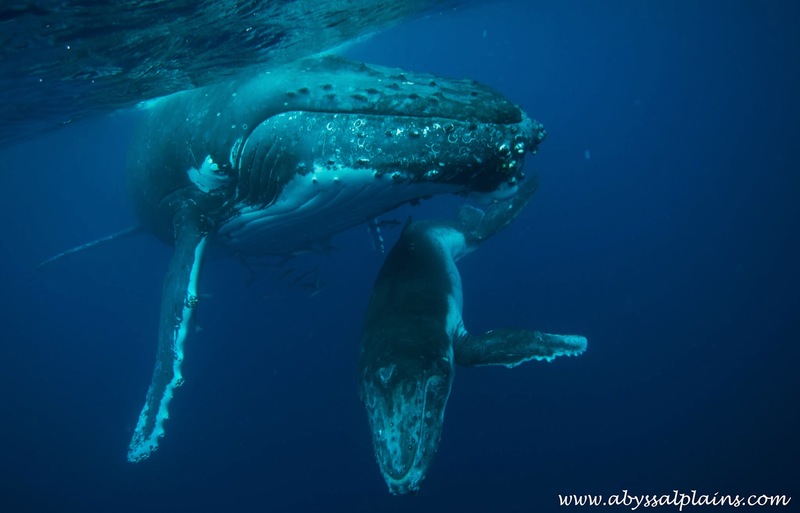 Our every morning consisted of yoga sessions, meditations and breathing exercises, and was followed by a full-day spent out on the water freediving in pristine locations, and then searching for the whales and experiencing some of the most intense and life-changing encounters with these majestic beings. Air New Zealand offers direct flights from Australia or New Zealand, as well as flights from Europe and USA via Auckland to the international airport Fua'amotu in the national capital of Nuku'alofa. Virgin Australia offers two flights a week from Sydney, Brisbane and Auckland to Tonga. Fiji Airways offers direct flights from Fiji and flights from Australia ad USA via Nadi to Tonga. Real Tonga is the Kingdom's new domestic carrier. 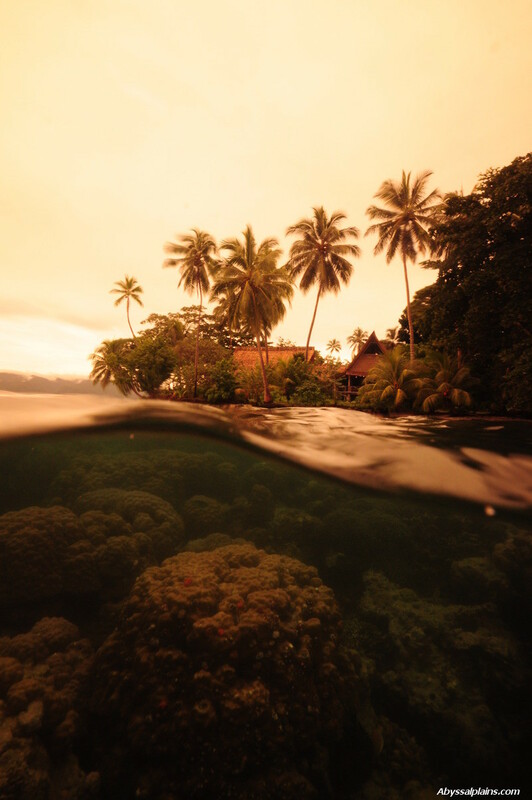 The Wilderness Lodge is situated in the middle of Peava village on Gatokae Island, a Melanesian seaside village known in the Solomon Islands for their preserved sacred customs and environmental awareness. If you're looking for a place where coastal, oceanic and rainforest environment overlap, and where western tourism principles blend peacefully into the natural surroundings of traditional villages, Gatokae Island is the place to go. 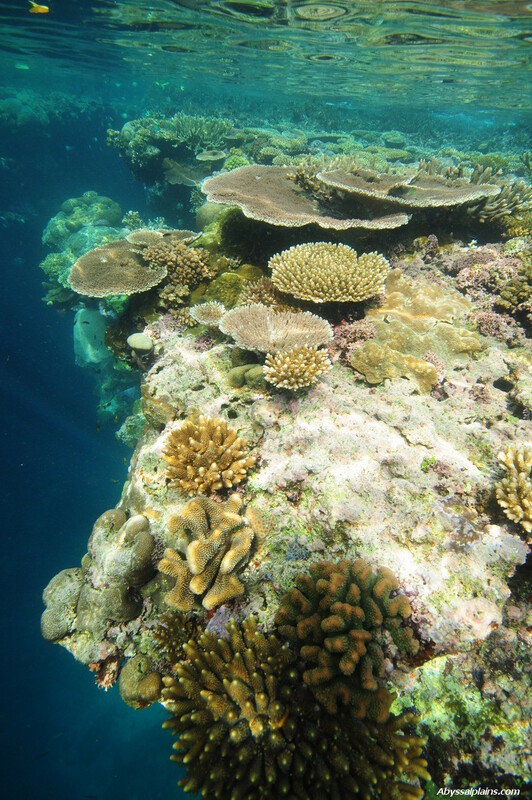 Gatokae Island is known as home to one of the most biologically diverse place on earth where the incredibly rich ecosystem of surrounding coral reefs meets the ecosystem of its tropical rainforests which has created a very fragile equilibrium of probably the two most globally-threatened ecosystems. 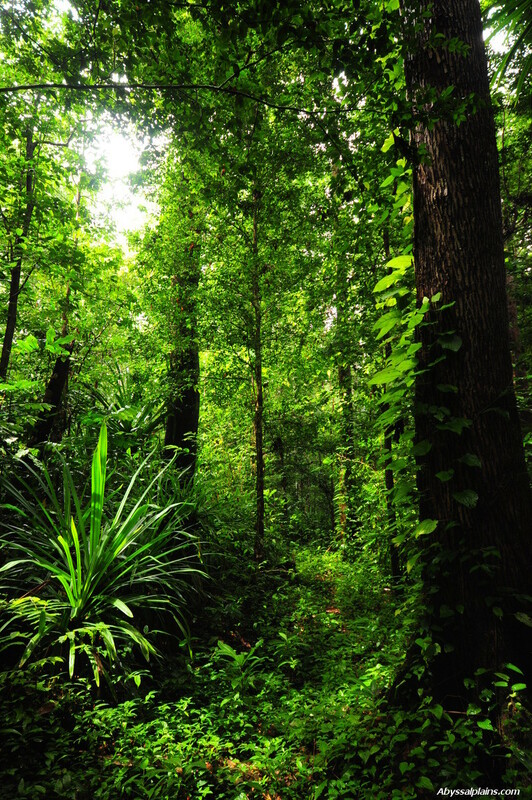 The Wilderness Lodge was established in 2002 to provide sustainable income alternatives to the indigenous people of southeastern Gatokae through ecotourism, and thus create an example of environmentally and socially sustainable business promoting conservation and environmental awareness. 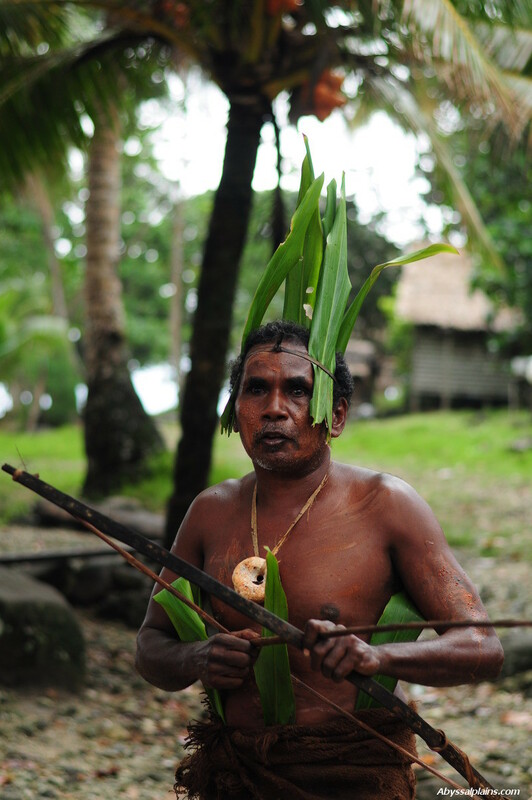 The Wilderness Lodge is owned, managed and staffed by people from Peava and nearby sea villages and introduces you to a genuinely traditional life of Solomon people. 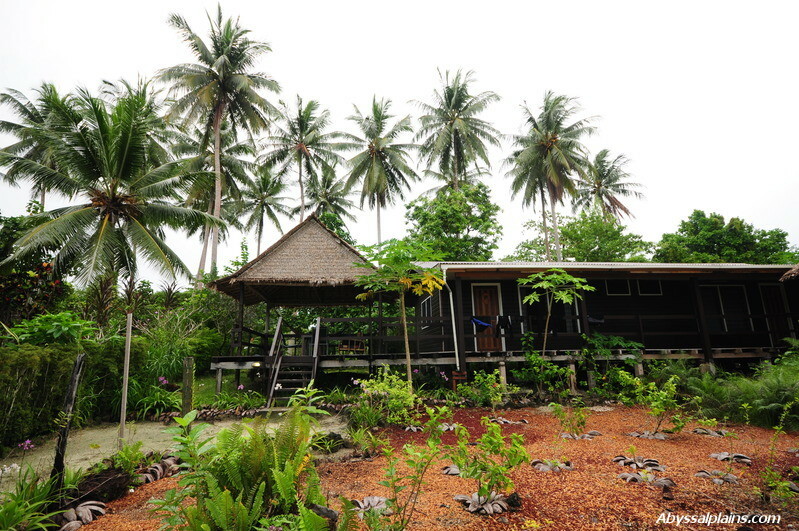 This is not a luxurious ocean resort, but rather a simple and intimate eco-lodge surrounded by local villages where life doesn't go according to the western rhythm. This is their world, and the things are done their way and at their speed. And if you don't mind roughing it a little for AUD $350 for 2 people per night, it well may be one of the best holidays of your life. Because once again, luxury is not what you pay for in the Solomons, but rather a luxurious taste of the wilderness, gorgeous sunsets and the feeling that you're doing the right thing for preserving one of those last truly wild places on Earth (at least you want to believe so and after paying for your stay you certainly will). The lodge caters for a maximum of 12 guests, although there are rarely more than 8 people staying at one time and it's not unusual to have the whole place for yourself. The lodge has two large, simply furnished and very private oceanfront bungalows, each offering two queen beds and accommodating up to 4 guests (although you pay per person rather than for the whole room). 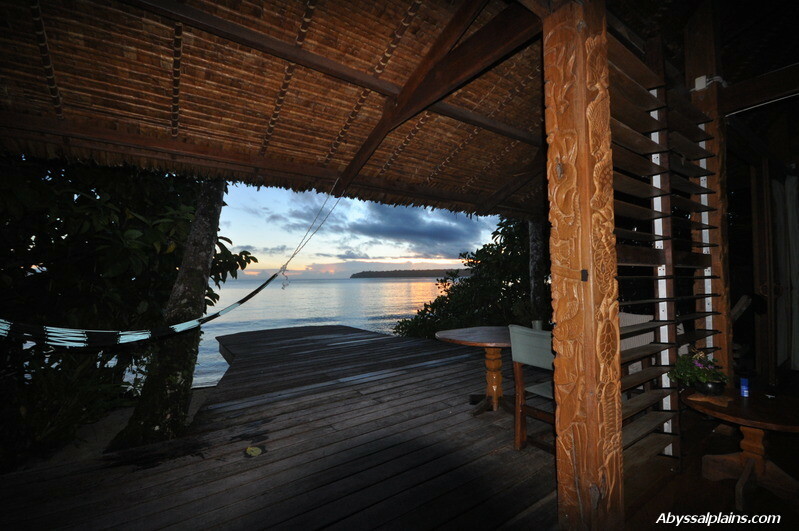 With the stunning interior wooden carvings, sliding glass doors which opens to the beachfront verandah and the deck extending all the way to the lagoon, these traditional Melanesian leaf houses were easily the most breathtaking place we've ever stayed at. Each bungalow also has a private outdoor shower, 24-hour electricity and a gas-burner for making a tea or coffee. The main building provides two additional sleeping rooms, each with two double beds and single bunk. They're not as private and stunning as bungalows as they open on to main lodge living area with a communal dining table, but are much cheaper and can be perfect for bigger groups or families. All packages include breakfast, lunch, dinner and snacks, that can be served either at the lodge or in the privacy of your bungalow. The food is limited by what's available in the local villages and didn't feel as light and healthy as at the Uepi - lots of white bread and deep-fried meals, so do ask for lighter veggie meals if that's what you're after. A selection of beer, wine and soft drinks are also available for purchase. Most of the time there's no management present and it's possible that you'll have to put significant amount of effort into organizing and clarifying all of your activities. Some of the activities such as visiting the remote Biche Village or a trip to the world's only accessible submarine volcano also require a days’ notice or specific seasonal conditions. Don't be put off by the slow communication with the staff - Gatokae Island offers an amazing variety of very unique and highly adventurous activities, some of the best in the Solomon Islands. Plan your activities well in advance and try to arrange them prior to your visit. Once you're there, insist on confirmation of the trip and keep asking about the details you need to know every day as they can change without notice (literally). 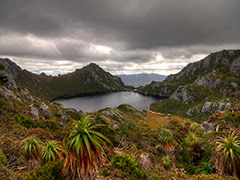 Or you can just pack your bag and go for a full day hike on your own across the mountain range into otherwise inaccessible villages, or take a boat and spend a day on one of the nearby uninhabited islands. Bulo, MaleMale, and Kicha snorkelling trip: The lodge has prime access to the three wild and uninhabited islands Bulo, MaleMale, and Kicha, and depending on sea conditions offers a half-day snorkelling trip to any of these nearby off-shore volcanic islands known for their stunning visibility and rich marine life. Biche village cultural tour: This remote and practically inaccessible sea village situated on the rugged south coast of Gatokae is the most culturally intact village in Marovo. Wilderness Lodge can organize a full-morning or a full-afternoon trip to this culturally unique community and Wilderness guests are the only outsiders that visit the village. The village leader provides an excellent guided tour of their sacred sites, including skull shrines, waterfalls, sacrificial altars, birthing cave, the famous tame eels, and will tell you lots of interesting custom stories. The boat transfer is 25 minutes by boat from the lodge, however the landing can be quite difficult and will only be attempted when safe. In rough weather or during tradewind season Biche can only be accessed by a very scenic 5-6 hours hike across the island's interior. For more adventurous, Biche village stay can be organized. Coconut crabs and caves of Bulo Island: Bulo Island lying offshore just 15 minutes boat ride from the lodge has one of the healthiest population of the coconut crabs in the Pacific. This is highly endangered species (in high demand in Asian markets). 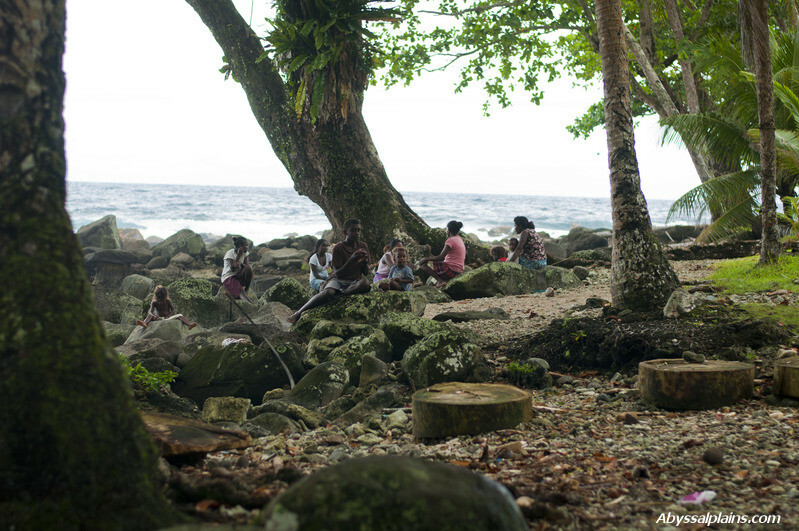 You can join the hunters in the afternoon as they prepare the coconut baits and return after dark to look for them. There are lots of other activities that you can choose from, such as cultural classes where the masters demonstrate how to make woodcarvings or traditional canoe, or quite an intriguing crocodile night tour where after sunset during darker moon phase an experienced guide will take you to look for the salt-water crocodiles. Probably the most fascinating tour, however, is a trip to Kavachi volcano, the world’s only accessible submarine volcano which can offer adrenaline-charged snorkelling during its eruptions a safe distance from the vent. This full-day trip to Kavachi Volcano is strictly subjected to weather, season and sea conditions which are usually very rough. Make sure you don't plan any activities, arrival or departure on Saturday as the village Sabbath observance from sundown Friday (6:00PM) to sundown Saturday (6:30PM) restricts any activities and the Lodge does not provide boat trips or transfers. There are also lots of self-guided walks that you could take around the lodge. There is Peava village 10 minutes walk along the coast to the east and Kio village 10 minutes walk along the coast to the west. 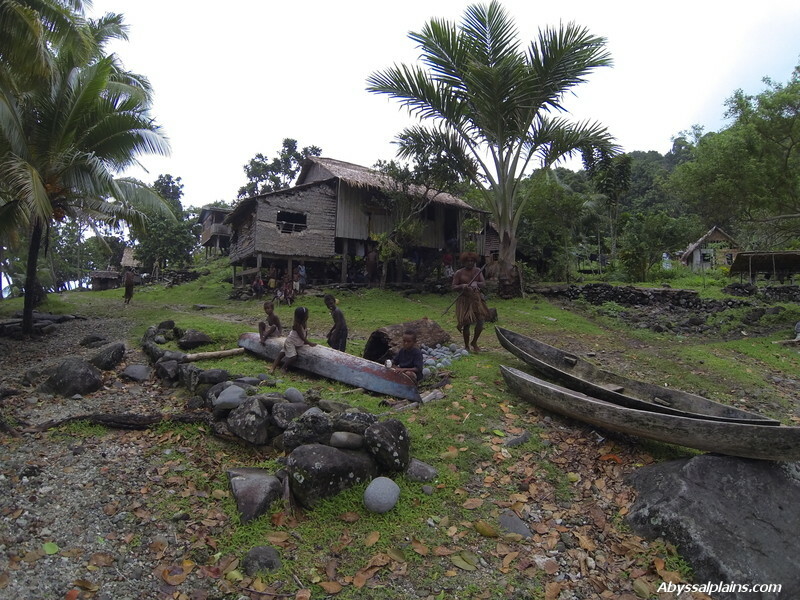 Peava is a typical small Western Solomons village with one school, a church and a population of approximately 120. It is a wonderful and very scenic place to go to on a weekday afternoon when kids return from school and play in the lagoon for hours, women return from the gardens and start cooking and men go fishing and do the wood carving that Marovo is world famous for. 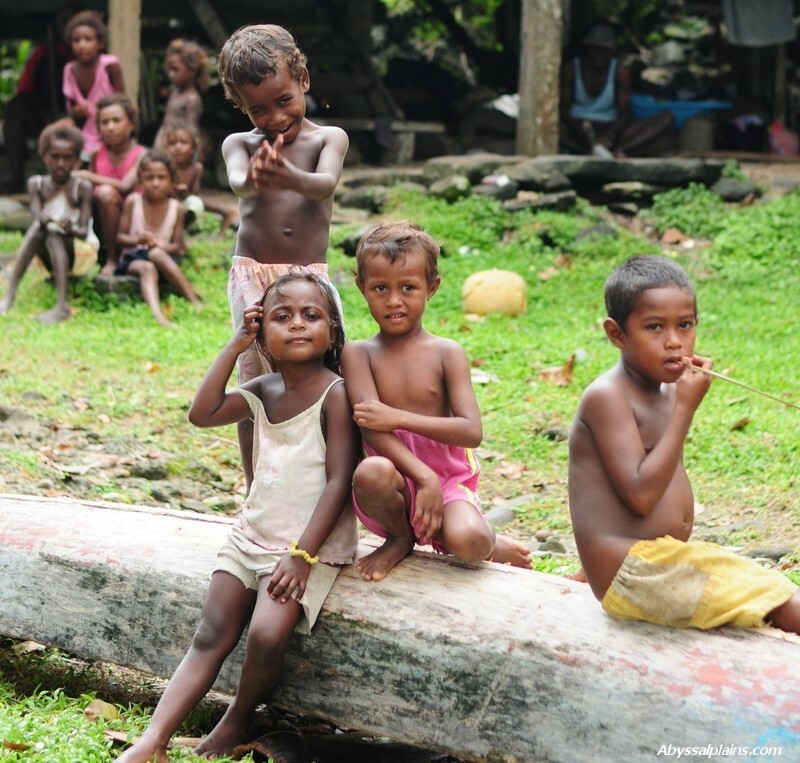 The people are pure Melanesian and speak Marovo language, as well as English. Most inhabitants are Seventh Day Adventists (SDA) with a subtle but pervasive persistence of traditional spiritualism and mythology. Apart from rice, tinned fish and petrol the village is fully self-sufficient. With the presence of government almost non-existent and the traditional chiefly system greatly undermined by the church and economics, most decision-making takes place in family groups while school and church matters often involve the community as a whole. You could also visit Madali beach on the south-east coast of the island (return trip will take you about 3 hours through spectacular scenery), or Kavolavata village, a beautiful village with no modern amenities ( 1 1/2 hour return trip north through Kio village). 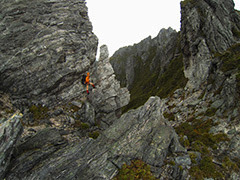 It is possible to do a few multi-day hikes, such as a 3-day hike to the summit of the Gatokae Island. Gatokae Island is situated at the southeastern tip of the Western Province, on the edge of the Marovo Lagoon, the largest salt-water lagoon in the world. 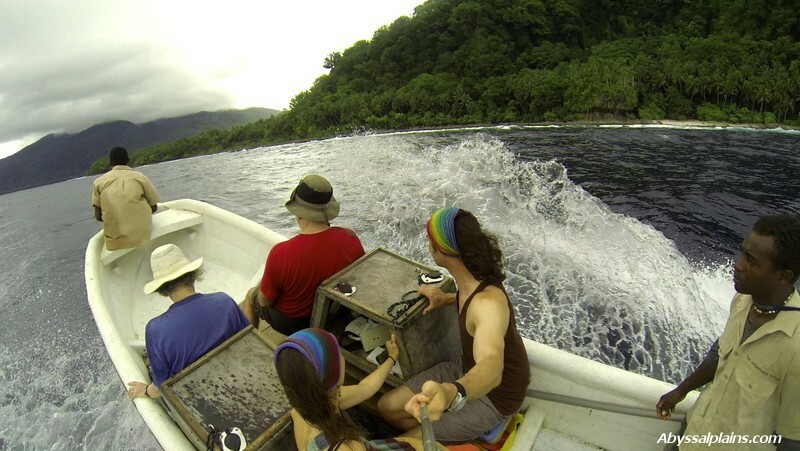 Although the visibility within Marovo Lagoon has suffered a lot from the commercial logging which has polluted the waters with rainforest sediments and dirty particles, the offshore volcanic islands surrounding Gatokae offer the best visibility we've encountered in the Solomons. You can either snorkel in the coral gardens within the lagoon (which was quite disappointing as the visibility in the lagoon can get very low), or you can take the kayak (or just swim for about 150 metres across the lagoon straight out from the jetty) to the Paeva Wall on the outer reef where the ocean floor drops into 400 metres and offered us excellent playground for freediving. 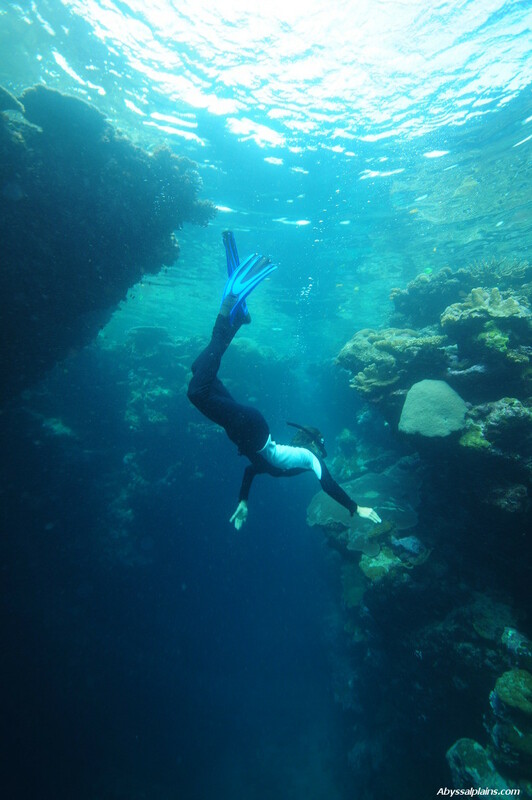 Snorkelling along the outer reef is usually very safe, although you have to be aware of the direction of the current, keep away from the breaking waves and watch the middle passage where the boats enter the lagoon frequently. If you take the kayak, tie it onto the mooring rope in the middle of the boat passage. There is also a very useful map of the snorkelling spots provided in the resort guide. Even though the abundance of marine life, quality of coral and the overall visibility can't compare with the fringing reefs around Uepi Island, the Wilderness Lodge still offers decent snorkelling right in front of the bungalow. 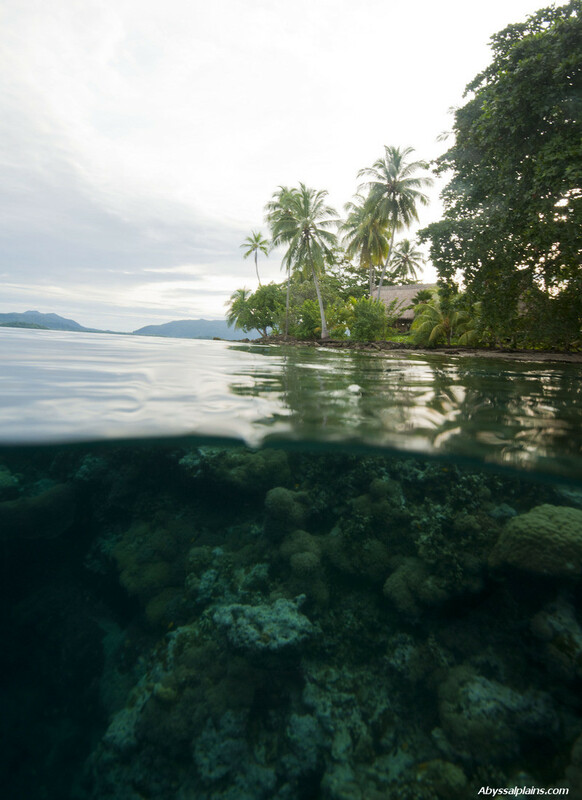 For about $50 you can take a 2-hour snorkelling trip to the volcanic islands off-shore: Bulo, Malemale and Kicha offer stunning visibility, great swims-through and healthy coral reefs - some of the best we've encountered in the Solomons. Just pick the right day as the channels between the islands can get very rough and prevent you from getting near the shore. On the day we went, despite the calm seas around Gatokae we found ourselves in the middle of 3 meters waves along the whole shore of Bulo Island and had to continue another 20 minutes to Kicha which tends to have calmer waters around. 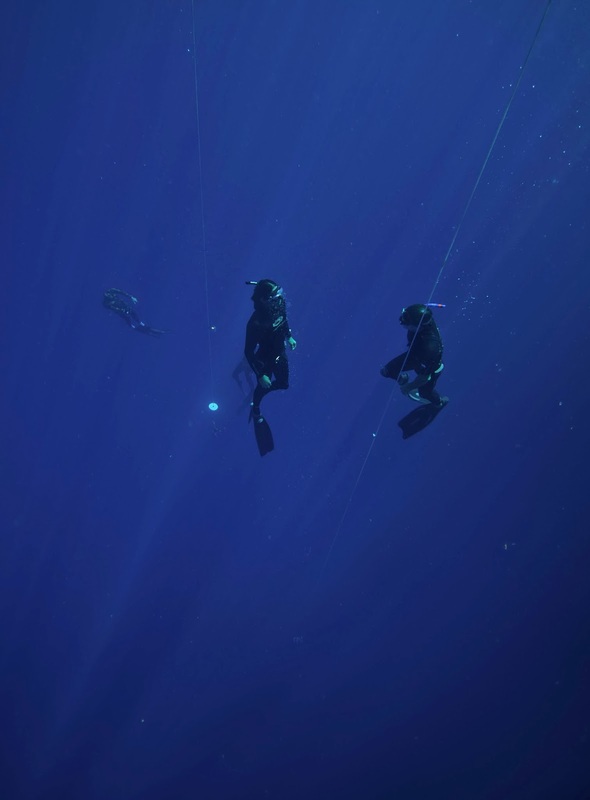 Dive Wilderness: Developed with many years of remote village tourism experience near Peava village on Gatokae Island in the Western Province, the Wilderness Lodge is now home to SSI-certified dive centre that can accommodate up to 8 divers from June 2013. 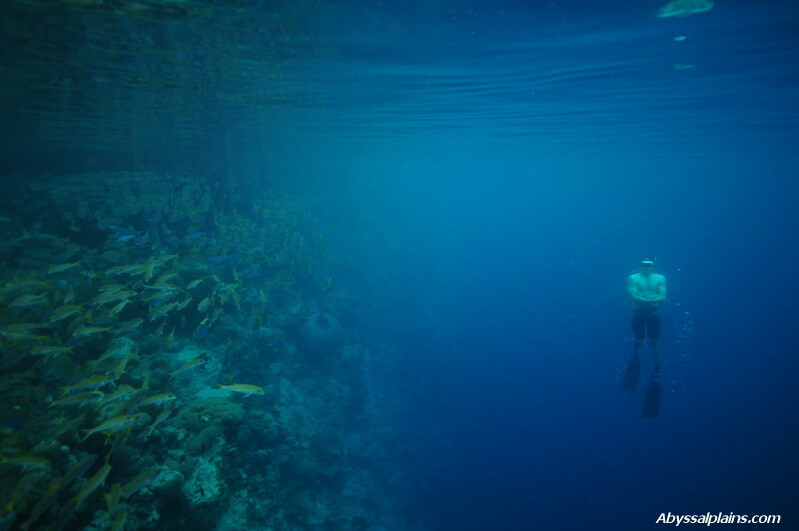 The nearby offshore islands Kicha, Mbulo and Male Male offer fabulous scuba diving, freediving and snorkelling opportunities, and actually had the best overall visibility (around 25m) during our Solomon Islands trip. 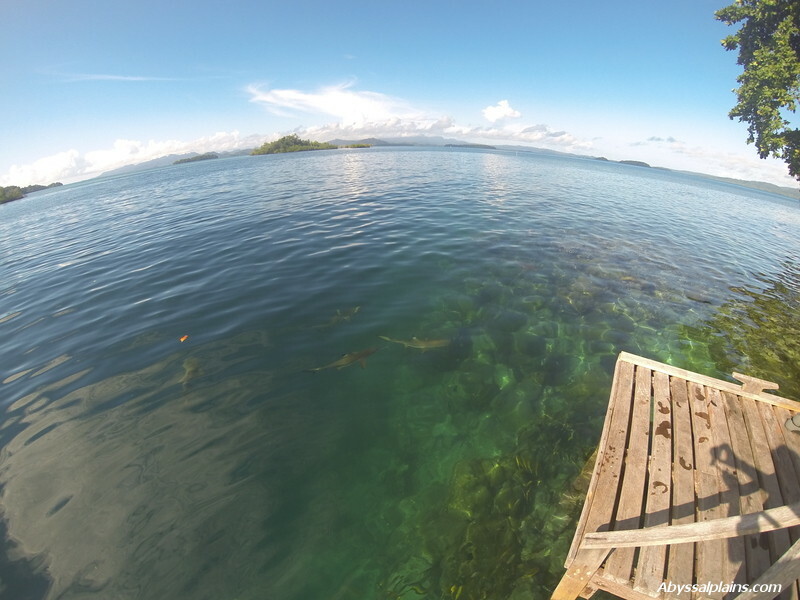 The visibility within Marovo Lagoon has suffered a lot from the commercial logging that has polluted the waters with rainforest sediments and dirty particles, however the visibility near these offshore islands was the best we've encountered in the Solomons. 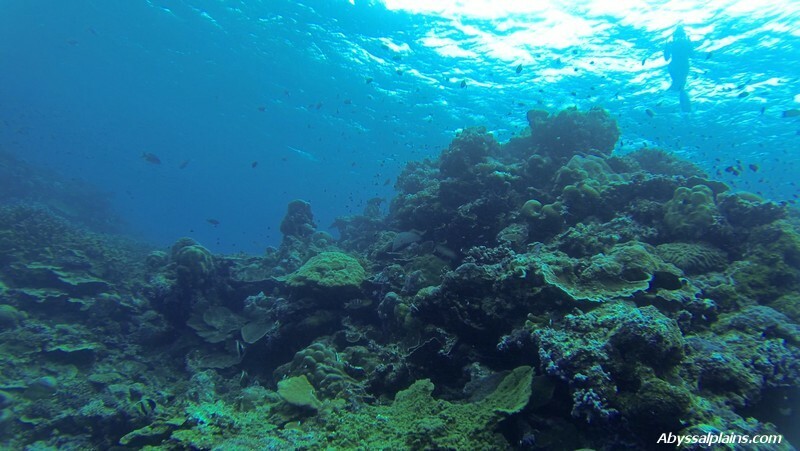 Solomon Dive Adventures: Located in the village of Peava on Gatokae Island (near the Wilderness Lodge), Solomon Dive Adventures was established by Lisa after 30 years of owning and operating Dive Makai Charters in Kailua-Kona, Hawaii, and offers excellent diving in Southern Marovo Lagoon. The most popular dive sites are Kavachi corner, Toana Tables, Fanyon Canyon, as well as 3 islands that sit just north and east of Peava: Male Male is the closest, Mbulo the biggest, and Kicha the smallest and furthest. Across the bay to the northwest lies the tiny, picturesque islet of Dovelei. It was Sunday, the first day after the Sabbath when all activities on Gatokae Island are restricted, when we finally managed to organize a trip to Biche village, a remote sea village situated on the rugged south coast of Gatokae, which has been known as the most culturally intact village in Marovo. At first we were a bit sceptical as the last thing we wanted to experience was one of those cultural performances designed for the western tourists after which the natives return to their TV's, play stations and Coca cola. That does not happen in Biche Village and you can look forward to a cultural experience as genuine as it gets in this luckily still forgotten part of the world. Wilderness guests are the only outsiders that visit the village; very rarely you can also meet there some adventurous ethnologists or biologists studying endemic species. 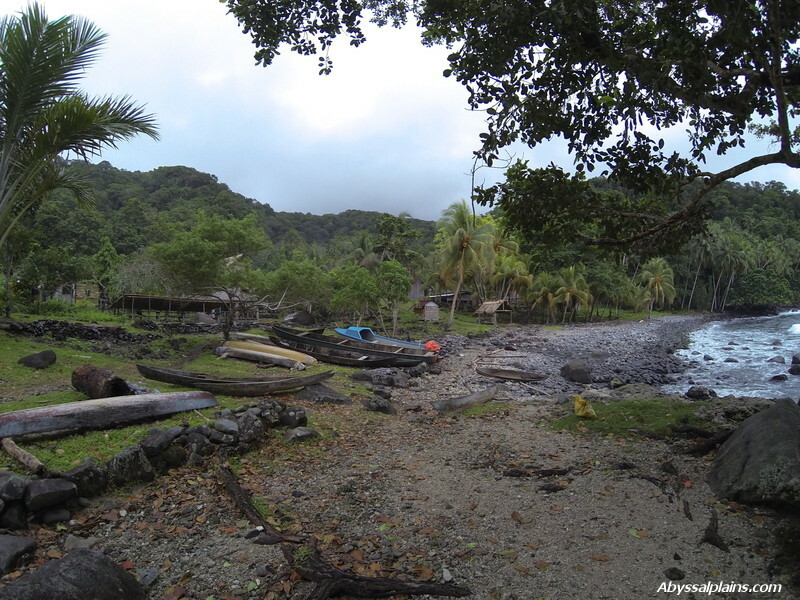 The boat transfer is 25 minutes by boat from the lodge and usually is an adventure itself as for the outsiders the village can be difficult to access from the sea. 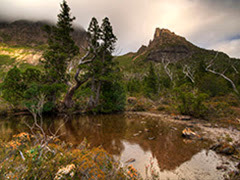 In a rough weather or during tradewind season when the landing is not possible, Biche can only be accessed by an incredibly scenic 5-6 hours walk from the Lodge. For more adventurous, Biche an overnight stay at the village can be organized. After a traditional Melanesian welcome ritual the village leader provided us an excellent tour of their sacred sites throughout the village or hidden in the surrounding rainforest, including skull shrines, waterfalls, sacrificial altars, birthing cave, the famous tame eels, as well as told us many local stories which have been passed down the generations. The tour lasts about 4-5 hours and it's usually done as a full-morning, or a full-afternoon trip. The village requires one day's notice by HF radio. It is also possible to extend the tour with local lunch at Biche and a challenging steep hike to Mt Matengele fortress site, or other historical village and tambu sites. Due to its isolation Biche village is still under heavy influence of traditional beliefs and the heritage of animistic religion, history of headhunting and cannibalism, the cult of sharks, lizards and salt-water crocodiles, they all have survived vividly in their stories and are inseparable parts of their identities. One of the most fascinating moments was to watch their intense and natural connection to the ocean which is so fundamentally embedded in children as soon as they can walk. It felt like their ultimate religion: an inexhaustible source of play, food, protection, as well as their only connection to the world. One of the highlights of the sacred sites was our visit of the ancient birthing cave where women used to give birth for hundreds of years. 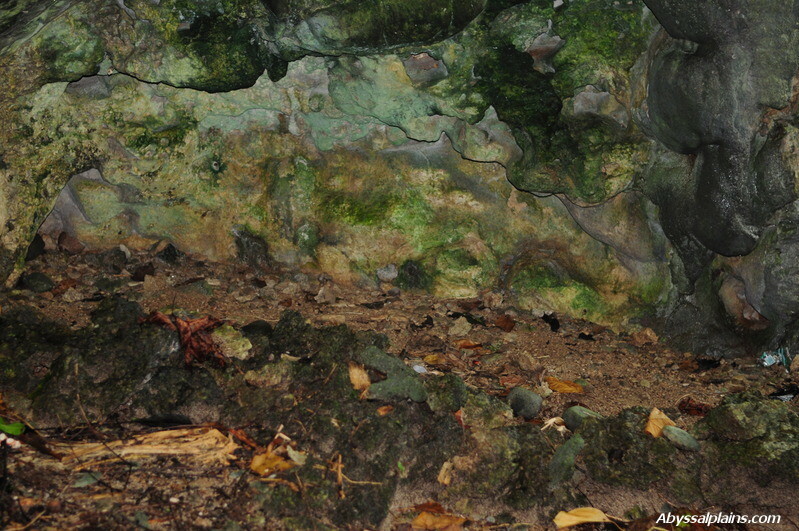 The cave itself can be found outside of the village since anything that was related to life and death, as well as dark feminine and mystical aspects, was considered sacred, and thus had to be separated from the everyday life of the villagers. 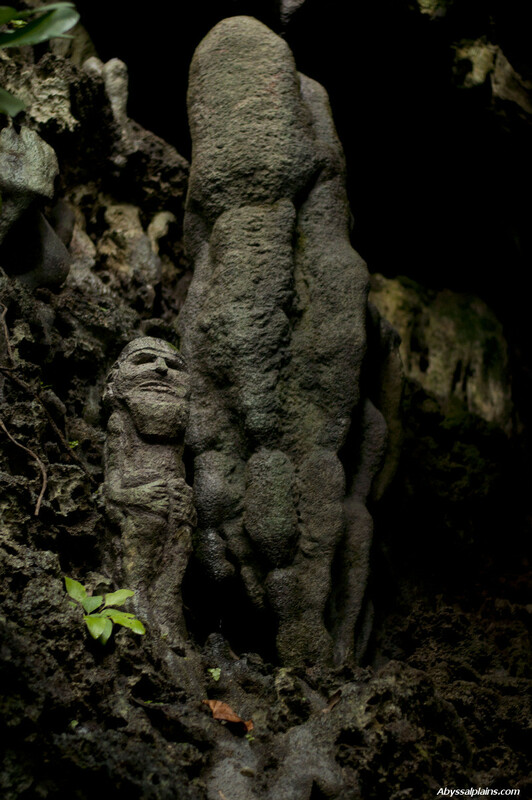 The cave has lots of stone carvings and skulls symbolizing the gods and ancestors who were supposed to help and accompany a woman on her journey of giving a birth. The main point of entry into the country is Honiara International Airport located 10 km out of the town. Solomon Airlines provide domestic flights to over 20 airports throughout the Solomon Islands. Domestic flights are operated by small unpressurized De Havilland Twin Otters and Brit Norman Islander aircrafts which fly at low altitude and offer great views of the islands. Although according to their website restrictive baggage limits should apply (check-in baggage allowance is 15kg and cabin 5kg) we never encountered any problems or additional fees and with our diving and camera gear we were way over these limits. Because Gatokae airport has been closed, the main gateway to the Marovo lagoon area and the closest airport to Gatokae Island is now Seghe airstrip. Flying from Honiara to Seghe takes about 40 minutes and the return flight will cost you about AUD $350. From there, the Wilderness Lodge will provide the 2-hour boat transfer across the Marovo Lagoon. They will also pick you up from Uepi Island Resort, Tetepare Ecolodge, and Matikuri Island Lodge. If you're planning to stay here after your visit of Uepi Island, the Wilderness Lodge can feel a little bit over-priced. On the other hand, you only need a few days to recognize Gatokae as a very special and intact island - unique amongst the large islands of the Western Province: the proximity of the two incredibly rich ecosystems of rainforest and coral reefs, extremely high rates of endemism, and minimal population pressure. If you want to experience a true Melanesian hospitality and how culturally- and environmentally-sensitive tourism should be done, you will enjoy staying at the Wilderness Lodge. Just stay simple and wild. Our arrival to Uepi Island couldn't be more dramatic. Earlier that morning, after setting out on a perfectly calm sea for a 2-hour boat journey from Tetepare Island to Uepi, the boat driver with many years of experience (for the reason we'll never understand) picked the wrong spot when entering the Marovo Lagoon and stopped the boat right on the edge of a coral reef. While trying to put it on reverse, a huge breaking wave flooded our boat which slowly started to sink. The back half of the boat got almost completely submerged with all our luggage floating in salt water. Since we were incredibly lucky not to have more people in the boat with us, we managed to stabilize it by removing the water and moving most of the weight to the front half of the boat. Just twenty minutes after this accident we arrived to Uepi Island Resort completely wet and shaken with our bags and some of the equipment soaked in salt water, and we couldn't imagine warmer welcome from Jill and Grant, the owners of this unique and forgotten part of the world. After offering us a cup of warm tea (and insisting on putting all our electronics in a dry room), we sat in a dining room looking out at the lagoon, while Jill told us everything we needed to know about our stay at the resort. The first thing that strikes you is the incredibly hard work they've done while trying to build this place in a complete harmony with the ocean eco-system as well as the local community of the Marovo Lagoon. The second thing you realize is that you're desperately in love with this place before you even check-in. Unique location: Uepi Island is a small and intimate island hidden at the very edge of the largest salt-water lagoon in the world and falling into 2000 metres deep oceanic trench on the seaward side, covered with tropical rainforest and surrounded by breath-taking coral reef streaming with small fish as well as pelagic life. 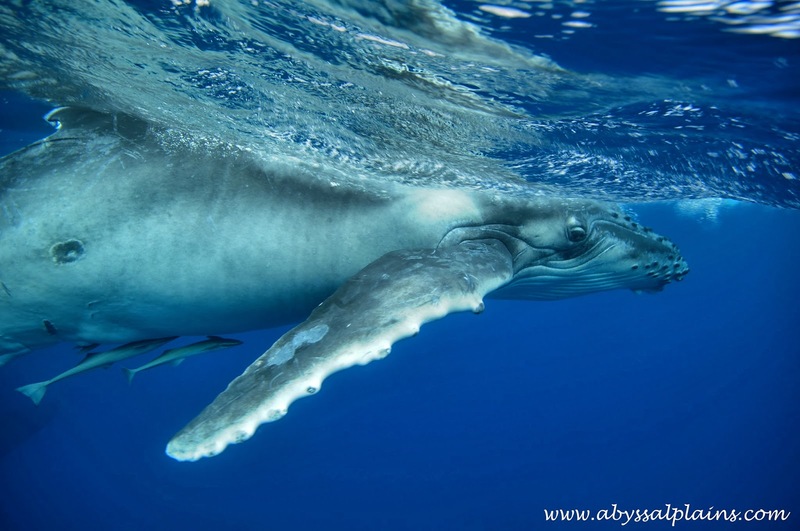 Underwater world: stunning underwater world that comes in the whole package: warm water, good visibility, healthy corals in pristine condition, incredible pelagic life (manta rays, dolphins, sharks, sharks and more sharks! ), limitless snorkelling and freediving opportunities and dive sites covering any underwater experience you may wish for: wrecks, wall dives, drift dives, coral gardens, or macro. Uepi Island Resort is a small and intimate resort located on a barrier reef island on the edge of Marovo Lagoon, the longest salt-water lagoon in the world. Marovo Lagoon is surrounded by the island of New Georgia on the eastern side and the chain of barrier islands and coral reefs on the other. The unique location of the island offers you an ultimate tropical island experience: sandy beaches and protected waters of Marovo Lagoon on its southern side, breathtaking coral reef accessible just off the Welcome Jetty taking you along 50 metres deep wall within Charapoana Passage, and last but not least, there is the seaward edge of the island which drops into 2000 metres deep oceanic trench, and thus welcomes all sorts of pelagic life and offers endless scubadiving or freediving opportunities. Uepi Island is approximately 2.5 km long and up to 600 metres wide. The two-hour coconut crab walk can take you through the tropical rainforest around the island. There are no villages on the Uepi and the whole resort is self-sufficient growing its own tropical gardens and working closely with the local communities of the Marovo Lagoon. The resort offers six beach bungalows, two units and two guest rooms. Because the beach bungalows were slightly more expensive, we decided to stay in one of the two one-bedroom units which was perfectly sufficient and had everything we needed. In fact, after a few weeks of travelling around the Solomons, our room even felt a little bit too luxurious: the main room had a fridge, a kitchen sink, a kettle, complimentary tea, coffee and milk, free toiletries, a king size bed, a huge clothing/luggage storage space, a fan, drinking tap water, cold shower (because cold actually means pleasantly warm and you really do not need a hot one), and very generous 24-hour electricity. If you decide to stay in one of these dual units, try to book a slightly bigger and sunnier 8A unit. These units felt private, clean and comfortable, the beach was 20 metres away and the outdoor shaded decking area with the hammock and excellent views of the Marovo Lagoon made it absolutely perfect. The main dining area had a bar with wonderful views of the whole lagoon, library, and even a wifi spot. The resort meals were wonderful and as fresh as it gets. They were mostly based around local seafood and organically grown fruits and vegetables. Depending on your morning activities the breakfast was served between 7 - 9 am and always included fresh fruits, coconuts, cereals and a variety of hot breakfast options. The lunch was brought to our room around 12.30 pm and the dinner was served at a communal table offering a wonderful opportunity to talk to other guests. It always consisted of a vegetarian soup, a tasty selection of main meals and a dessert. Underwater world is the reason to come to Uepi Island and the reason you'll probably be back very soon. 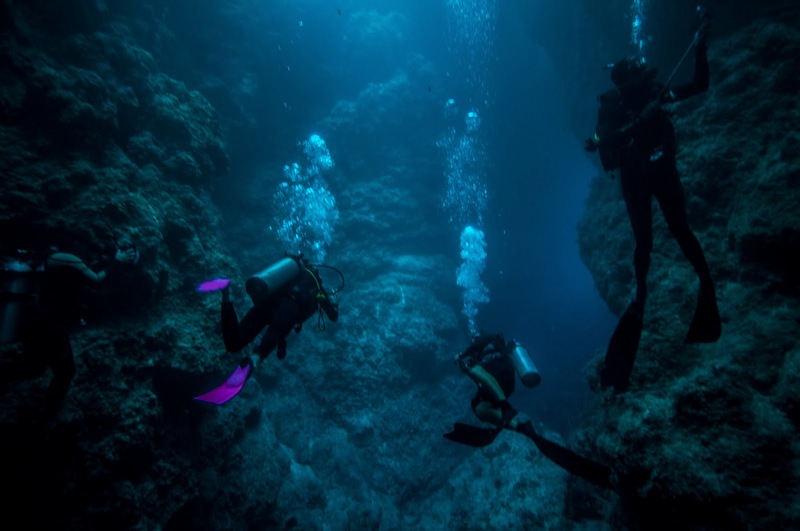 Although we decided not to scuba-dive (being there only for 4 days), we believe you could easily spend ten days of just scuba diving - the variety of dive sites is simply remarkable. Due to its location on a small tropical island perched on the edge of the longest lagoon in the world and with its seaward side dropping into 2,000 metres, Uepi Island Resort offers unique opportunity to dive first-class sites that are only minutes away from the dive shop, or just a short boat trip away. 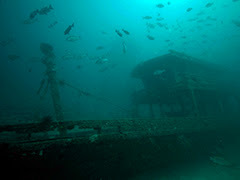 Local dive sites include Uepi Point, Inside Point, Welcome Jetty, Dive Jetty, The Elbow, Elbow Caves, Divers Bay and other. 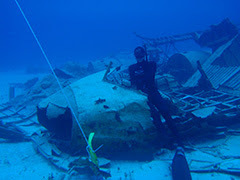 Diving excursions offer custom sites at Charapoana Point, Deku Dekuru, Lumalihe Passage, General Store, Mongo Passage, etc., as well as numerous wreck dives at WWII ship wrecks. 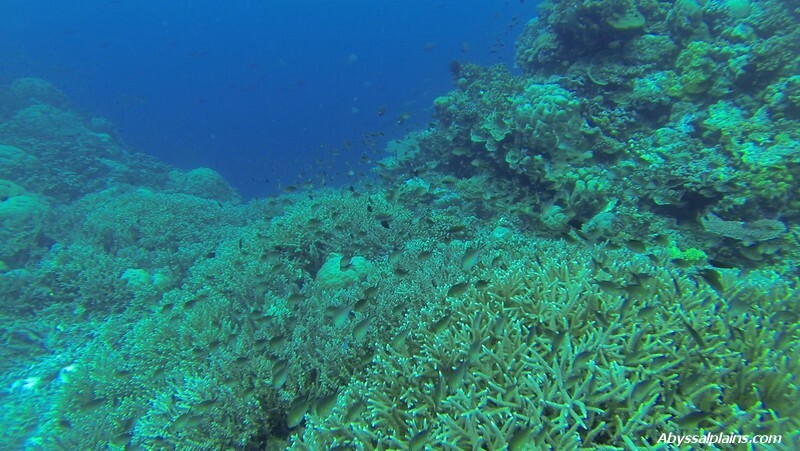 The rate is $73/dive, although optional dive trips may be subjected to other custom fees. 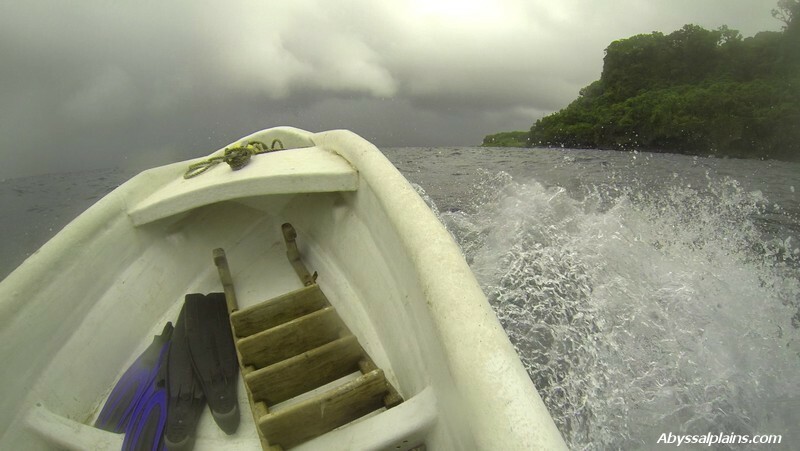 Other activities around the Uepi Island include sea kayaking, fishing, jungle trails and various cultural activities including the opportunity to visit local villages where Marovo people will introduce you into their traditional everyday life. 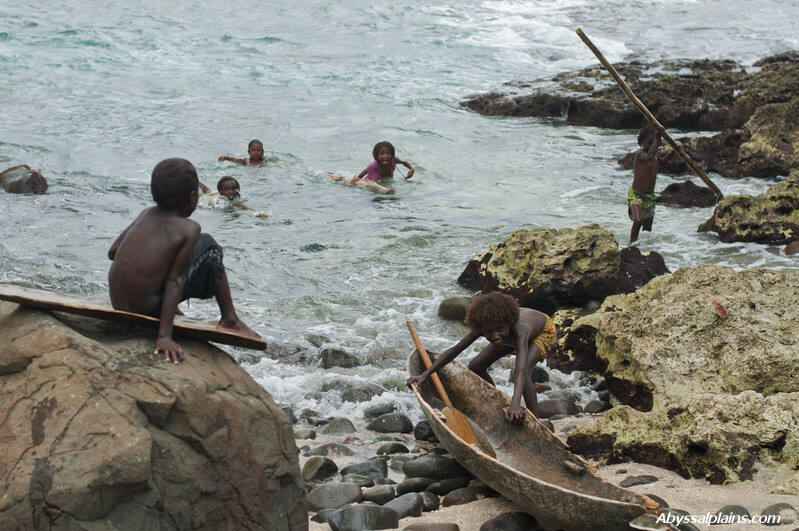 The Solomon Islanders follow Melanesian clan system with strong bonds to their clan and a village leader. The communal support of people belonging into the same language and family group is very strong and you'll witness many dimensions of this complex cultural pattern in their everyday life. 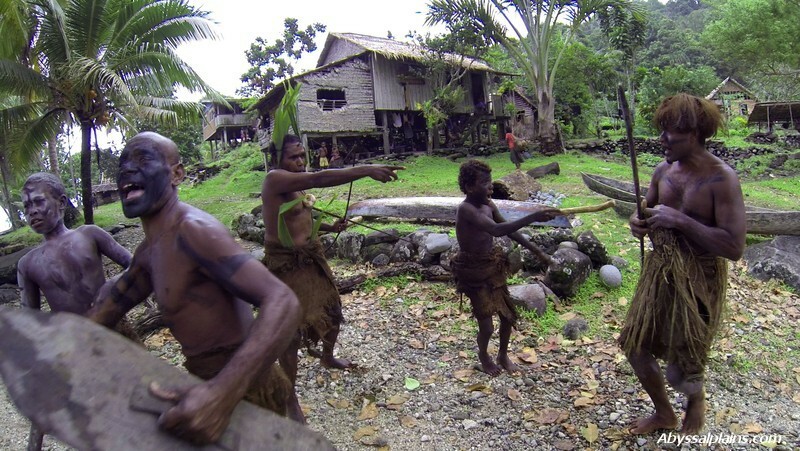 Although most of the population was successfully converted by Christian missionaries who settled in the Solomons under the British protectorate, traditional villages are still under heavy influence of their local kastoms (traditional beliefs). The heritage of animistic religion, history of headhunting and cannibalism, the cult of sharks, lizards and salt-water crocodiles, they all have survived vividly in the collective memory of the Solomon people. 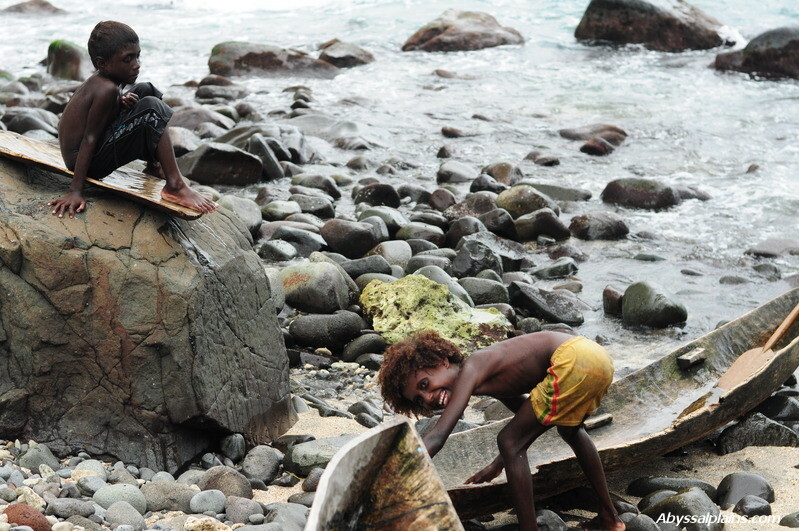 Their strong connection to the ocean is deeply embedded in their culture whether it’s their belief in a salt water crocodile or a shark as their ancestors, or simply in the ocean as the ultimate source of life, food and protection. Solomon Airlines provide domestic flights to over 20 airports throughout the Solomon Islands. Domestic flights are operated by small unpressurized De Havilland Twin Otters and Brit Norman Islander aircrafts which fly at low altitude and offer great views of the islands. Although according to their website restrictive baggage limits should apply (check-in baggage allowance is 15kg and cabin 5kg) we never encountered any problems or additional fees and with our diving and camera gear we were way over these limits. Although not very cheap, the whole flying experience was much quicker and felt safer and more pleasant than the boat or ferry transfer. 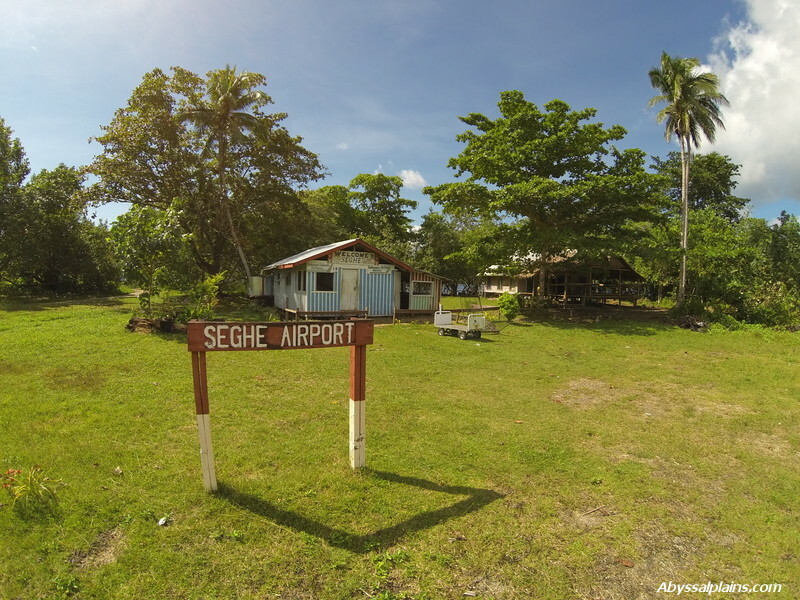 The main gateway to the Marovo lagoon area and the closest airport on your way to the Uepi Island is Seghe airstrip. Flying from Honiara to Seghe takes about 40 minutes and the return flight will cost you about AUD $350. From there, Uepi Island Resort will pick you up for a 20 minutes (12 km) journey in a traditional motor boat, usually a very calm and pleasant boat ride across the Marovo Lagoon. 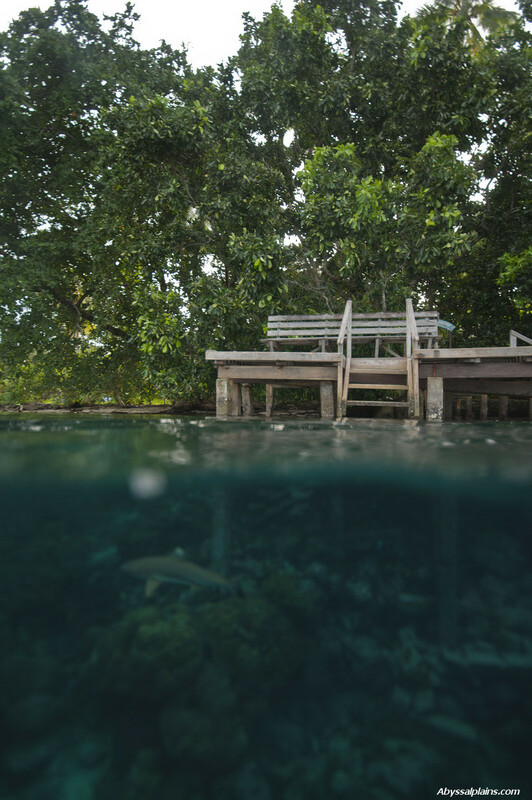 Whatever your reason to visit the Solomon Islands is, adding a few nights at the Uepi Island into your itinerary will almost certainly be one of the highlights of your holiday. 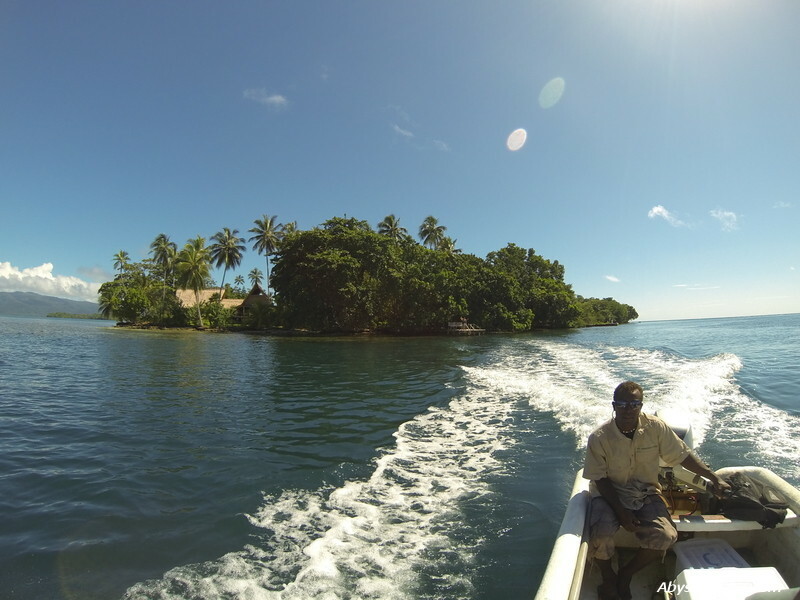 If you also visit the Tetepare Island for an ultimate wilderness escape and add a village stay in Malaita Province, your experience of the Solomon Islands will be perfectly complete. There are so many reasons not to start a travel blog. And just go. And let it go. Let the memories sink into the setting sun. Take it all and go further.